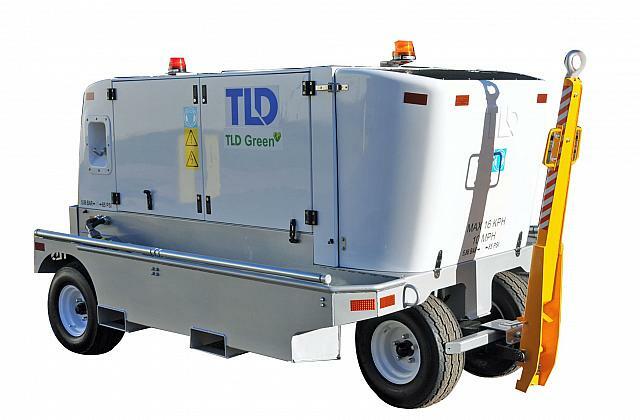 The GPU-28 VDC Ground Power Unit is a very rugged, compact and silent Ground Power Unit, which provide 800AMPs continuous and 2000AMPs perk to provide power supply or starting aircraft. Its largely size engine ensure a good performance in the worst overload application. The GPU-28 features a brushless revolving field generator, rubber torsion axle-mounted chassis of rugged galvanised steel construction with fifth wheel steering and powercoated sheet metal panels. The GPU-28 can meet U.S. and EURO latest emission standards, Tier 3 and Com 3. 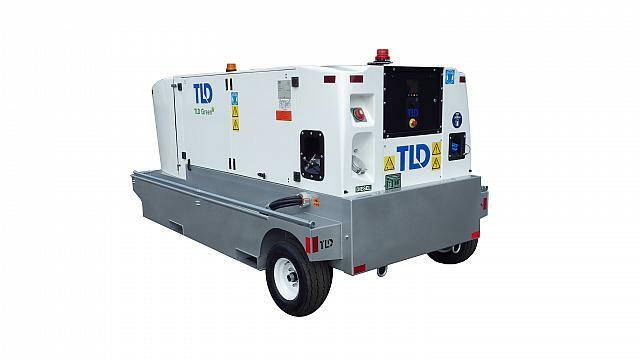 The GPU-28V Ground Power Unit is a very rugged, compact and quiet unit that provides 800 amps continuous and 2000 amps peak for aircraft engine starting. 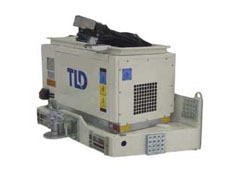 Its powerful engine ensures good performance in the worst overload applications. 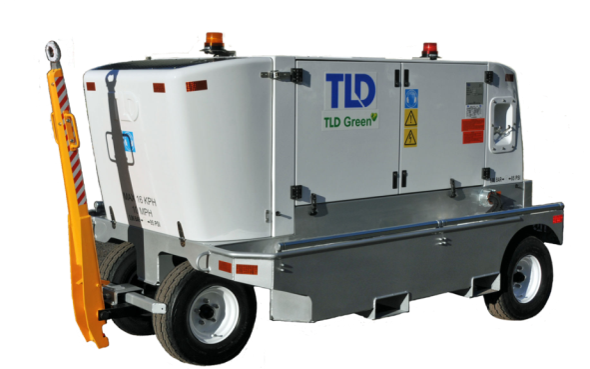 The GPU-28V features a brushless revolving field DC generator, a rubber torsion axle-mounted chassis of rugged galvanized steel construction with fifth wheel steering, powder-coated aluminum doors and fiberglass enclosures. The GPU-28V meets U.S. and EURO latest emissions standards. Other engines are available for all emissions-regulated locations. 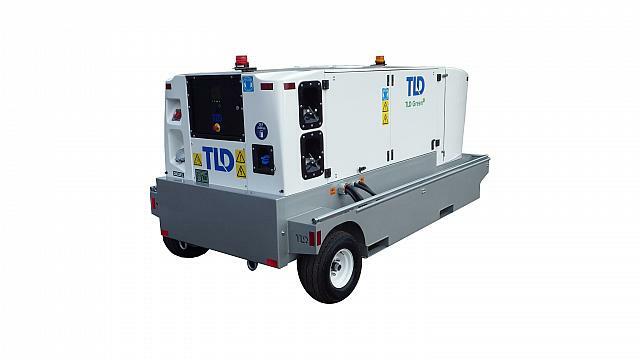 The GPU-406 Ground Power Unit features a compact design with full-size performance which allows for easier handling and better mobility near aircraft. It features a brushless, high efficiency generator running at an optimized 2000 RPM providing improved fuel efficiency and reduced sound level while ensuring rapid transient response and exceptional frequency regulation. Powder-coated aluminum and fibreglass panels surrounding a rugged galvanized steel chassis provide the longest lasting finish. Mobility is enhanced by a rubber torsion axle, tight radius 5th wheel steering, simple direct-acting brakes, and a safe no-drop towbar. The GPU meets U.S. and EURO latest emissions standards. Other engines are available for all emissions-regulated locations. 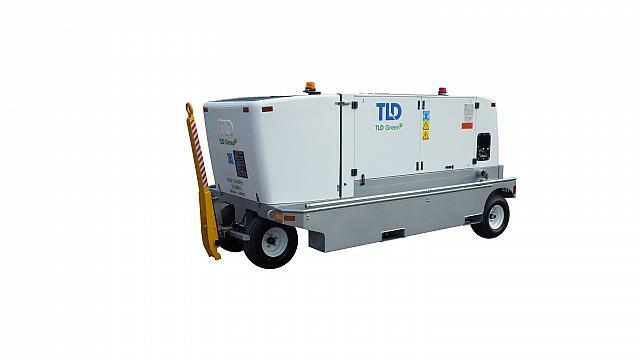 The GPU-409 Ground Power Unit features a compact design with full-size performance which allows for easier handling and better mobility near aircraft. It features a brushless, high efficiency generator running at an optimized 1846 RPM providing improved fuel efficiency and reduced sound level while ensuring rapid transient response and exceptional frequency regulation. Powder-coated aluminum and fiberglass panels surrounding a rugged galvanized steel chassis provide the longest lasting finish. Mobility is enhanced by a rubber torsion axle, tight radius 5th wheel steering, simple direct-acting brakes, and a safe nodrop towbar. The unit can meet U.S. Tier 4i . Other engines are available for all emissions-regulated locations. 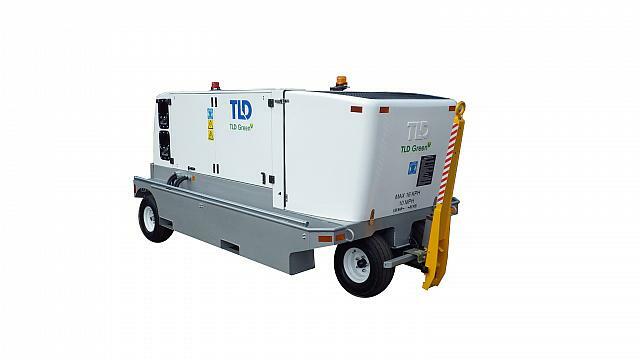 The GPU-412 Ground Power Unit features a compact design with full-size performance which allows for easier handling and better mobility near aircraft. It features a brushless, high efficiency generator running at an optimized 1846 RPM providing improved fuel efficiency and reduced sound level while ensuring rapid transient response and exceptional frequency regulation. Powder-coated aluminum and fiberglass panels surrounding a rugged galvanised steel chassis provide the longest lasting finish. Mobility is enhanced by a rubber torsion axle, tight radius 5th wheel steering, simple direct-acting brakes, and a safe no-drop towbar. The unit can meet U.S. and EURO latest emission standards. Other engines are available for all emissions-regulated locations. 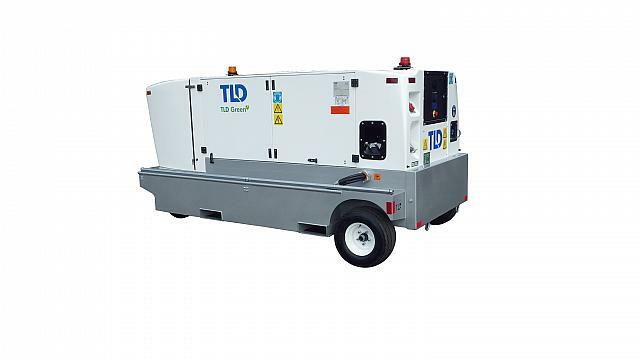 The GPU-414 Ground Power Unit features a compact design with full-size performance which allows for easier handling and better mobility near aircraft. It features a brushless, high efficiency generator running at an optimized 1846 RPM providing improved fuel efficiency and reduced sound level while ensuring rapid transient response and exceptional frequency regulation. Powder-coated aluminum and fiberglass panels surrounding a rugged galvanized steel chassis provide the longest lasting finish. Mobility is enhanced by a rubber torsion axle, tight radius 5th wheel steering, simple direct-acting brakes, and a safe no-drop towbar. 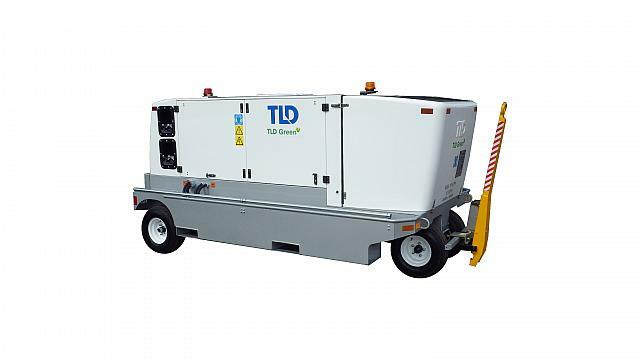 The GPU-418 Ground Power Unit features a compact design with full-size performance which allows for easier handling and better mobility near aircraft. It features a brushless, high efficiency generator running at an optimized 1846 RPM providing improved fuel efficiency and reduced sound level while ensuring rapid transient response and exceptional frequency regulation. 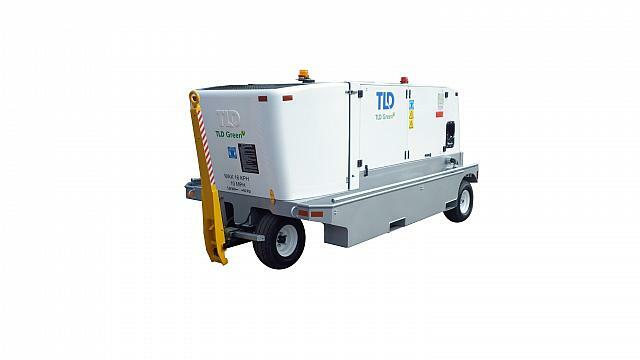 The GPU-4010 tractor mounted Ground Power Unit features a brushless revolving field generator skid unit. The unit meets EPA TIER 4 and is designed for tractor mounted power unit. 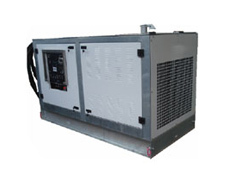 The GPU-4060 400 Hz Ground Power Unit is a very rugged, compact and silent 60 KVA Ground Power Unit. Its over sized engine ensure a good performance in the worst overload application in 400Hz and also with its 28.5VDC optional rectifier. 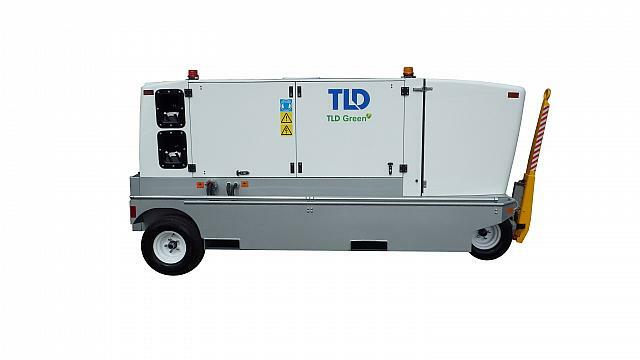 The GPU-4060 features a brushless revolving field generator, rubber torsion axle-mounted chassis of rugged galvanised steel construction with fifth wheel steering and powder coated sheet metal panels. The GPU-4060 can meet U.S. and EURO latest emission standards, Tier 3 and Com 3. 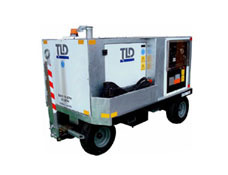 The GPU-4090-CUT tractor mounted 400 Hz Ground Power Unit features a brushless revolving field generator skid unit. The unit meets U.S. and EURO emission standards, Tier 3 and Com 3. 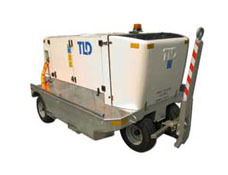 The unit is specified for TLD TPX/TMX aircraft tractor GPU option. 400 Hz 115/200 volts nominal, +/- 15% adjustable, 3 phases, 4 wire wye-connected, grounded neutral, revolving field, brushless, self-cooling, single bearing, brushless rotating rectifier assembly, directly connected to the engine.